Are you planning to make a visit to Goa? Goa is well known for its beaches. Read this article and learn more about best travel destinations in Goa. Famously known as the fun capital of India, the state of Goa is located in the Konkan region of Western Ghats. From exotic flora and fauna to adventurous sports; from peaceful water rides to thrilling surfing; from exotic shacks to local rest houses; Goa has it all. You can chill at the bars and bistros or just enjoy an awesome cup of tea in the local streets; you can enjoy music and low pace life at the hippy gatherings or you can just visit the monuments and churches on your own. Goa is one of those tourist destinations in the nation that have gathered the interest of the tourists from across the world. We have brought you, the best of Goa from every nook and corner of the State and hope that you have a super duper, fantastic experience of Goa Trip. 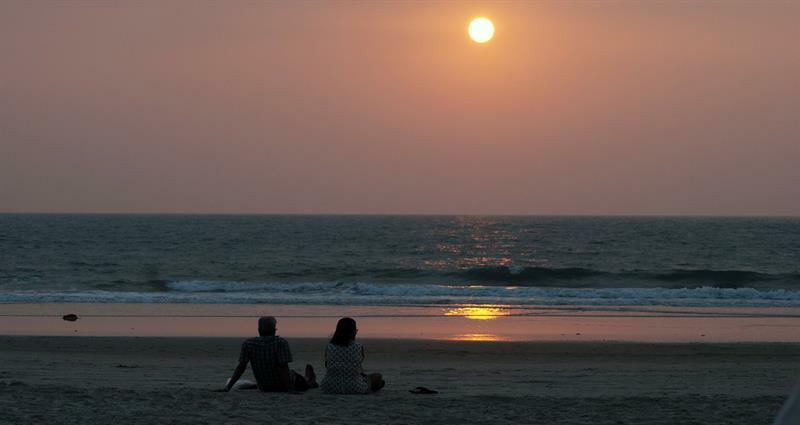 Baga Beach is the very first beach every single tourist visiting Goa banks upon. It is located in the northern part of the state which is popularly called as the North Goa. Basically, the place is a fishing place and has plenty of things, activities and sports to offer the visitors. The innumerable fishing boats outlining the beach make the perfect backdrop for capturing the photos depicting the actual essence of the place. Plentiful surroundings, a break from the city life and exotic shacks on the shores make the place an absolute chilling spot and are famous among the youth. You can enjoy the dolphin spotting, sun basking, banana boat rides, parasailing, and lots of other activities here. The best time to visit the place is November to March. Aguada Beach is one of the major attractions in the North Goa. It is a beautiful beach with pristine surroundings with lots of other monuments and places to visit. The beach is very popular among the tourists and is a highly popular honeymoon destination. The Aguada fort is also located here which has featured in many of the Bollywood movies. Though the name is similar, the Aguada Fort is perched over the Sinquerim Beach. Palolem Beach is located in Canacona in Goa. This beach has peaceful surroundings and has been nominated in several visitors' poll lists. Having an abundant view of the Arabian Sea, the beach offers a lot of water activities for all the visitors. This is one of the most untampered beaches in Goa and has been featured in movies such as the Bourne Supremacy. There are a lot of bamboo huts in the region which offer the real feel of the Goan life to all the tourists. Agonda Beach has been listed as one of the best beaches in the nation and is a constant member of the list of the best beaches based on the travellers' reviews. It also has a protected central portion for the Olive Ridley Turtle eggs. The sunset walks, surfing, water rides and sports, and walks on the long coast are some of the activities that can be enjoyed there. Apart from these beaches, there are Cavalossim, Mandrem, Utorda, Varca, Candolim, Ashwem, Morjim and lots of other worthy beaches which will offer you the best of Goa and the best of Arabian Sea Waters. Panaji is the Goa State capital and you can enjoy a lot of things here. There is Salim Ali Bird Sanctuary, Se Cathedral, Goa State Museum, Basilica of Bom Jesus, Chruch of our lady of the immaculate conception, Casino Royale Goa, and Mandovi River Cruises. Other places of interest are the Altinho hill, Maruti Temple, Statue of Abbe' Faria and Panaji Heritage walks. Old Goa has a lot of heritage places to visit and explore. The main heritage buildings in Goa are the churches and related ones owing to the fact that the state has been a major establishment of the Portuguese. The main places to be visited are Church and Convent of St. Monica, Viceroy's Arch, Church of our lady of the Rosary, Church of St. Francis of Assisi, Archaeological Museum, Chapel of St. Catherine, Museum of Christian Art, Wax World, and Church of St. Francis Xavier. Casa Araujo, Alvares, Bigfoot Cross Museum, lots of churches, Rachol Seminary and Church, Fatorda Stadium, Shri Mahalakshmi Temple, Shri Naguesh Temple, Tropical Spice Plantation, Shri Mahalsa Temple, Caves of Khandepur, Church of the Holy spirit and waterfalls are some of the places to ramble around in and near Loutolim. Other places which will offer you a deep insight into the Goa architecture and history are Nuvem, Goa Velha, Chandor, Sangolda, Pernem and Divar. If you wish to explore Goa from the eyes of a naturalist then there are some places with the richest flora and fauna, fish shoals, shells, tress, wildlife, birds and plantations. These places include Bhagwan Mahavir Sanctuary and Mollem National Park, Cotigao Wildlife Sanctuary, Assagao for gardens, Verna, Bicholim, Chandor, Netravali Wildlife Sanctuary and Dona Paula. The list of the tourist places in the above section has the ones which will be a delight for the first time visitors. Now, if you are planning to visit Goa for second or third time or on a tight schedule, then the following sections are your itineraries. Old Goa, Thalassa, Fort Aguada Lighthouse, Chapora Fort, Britto's and Baga Beach. Colva Beach, Sahakari Spice Plantation, Palolem Beach and Agonda Beach. Mahadeva Temple, Arvalam Waterfalls, and Dudhsagar Falls. Now, the following section is for those tourists that are actually IN the exploration and want to explore Goa in a different and 'off the beaten path'. We have suggested the best of Goan places to you. Now, what are you waiting for? Pack your stuff and GO GOA…!!! Recently I went to Goa with my friends on last May. We visited most of the best tourist places which are mentioned above. But I suggest you not to visit on summer season. There are a lot of places to visit apart from Goa. Goa is my favourite tourist destination in India. I have travelled to most of the famous tourist places in India and I can say for sure - Goa is the best. The beaches in Goa are awesome. Don't forget to visit the night clubs there. You can get the finest hot drinks in Goa. And take a village tour. You will see the parts of Goa that you won't see otherwise. Plan for at least 4-5 days and you will be able to go back with memories that you won't forget in your life time. Try to get a room in a good beach resort.